Hemet Unified School District (HUSD) held its annual Super Kids Bowl at Hemet High School. Parents, students, and staff helped to make 2019 an amazing event for all participants. 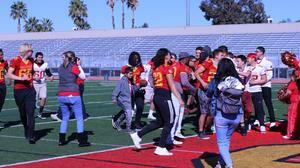 Students with moderate to severe disabilities participated in a safe version of football with the Hemet High School football team. 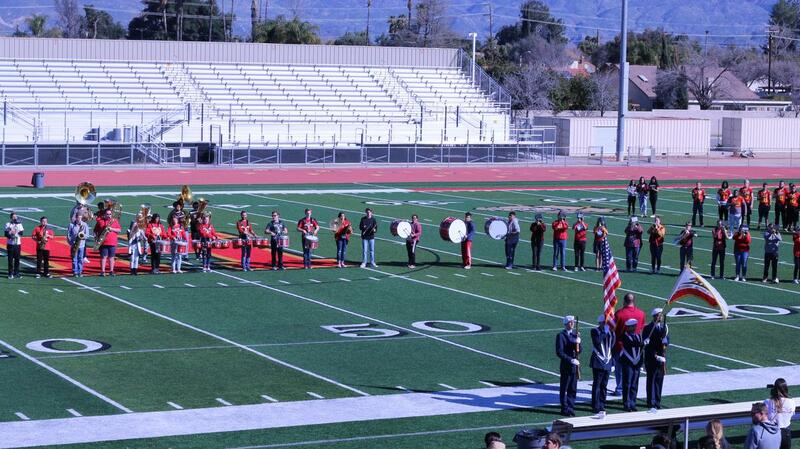 The HHS Band performed the National Anthem and the AFJrROTC Color Guard presented the flags. 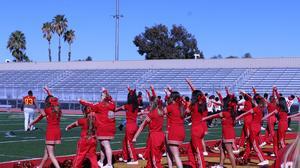 The HHS Cheerleaders rallied the kids and the football team created the thrill of scoring a touchdown. HHS Principal Dr. Emily Shaw expressed her elation with the students and getting to host the event. "We were excited to host the Super Kids Bowl this year. The students were amazing and our football players, cheerleaders, and the band had a fantastic time supporting the kids today." 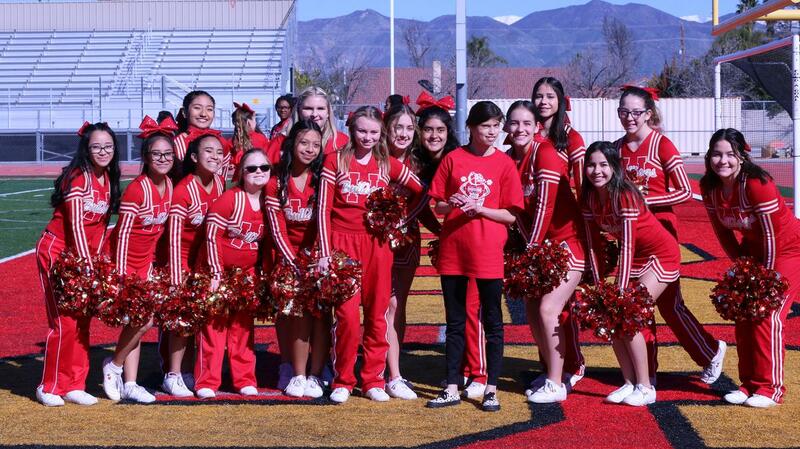 The Super Kids Bowl is an event started 15 years ago by Idyllwild Principal Matt Kraemer and has been a success every year! Here are his thoughts and gratitude to all that have participated in making this event memorable and successful. 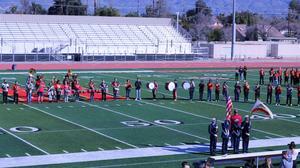 "I thought Hemet High did an excellent job of hosting the event this year. Especially: Coach-Jason Thornburg, ASB Director- Al Fernandez, Band Director- Dan Boulton & Cheer Leading Coach- Chatele Beard. 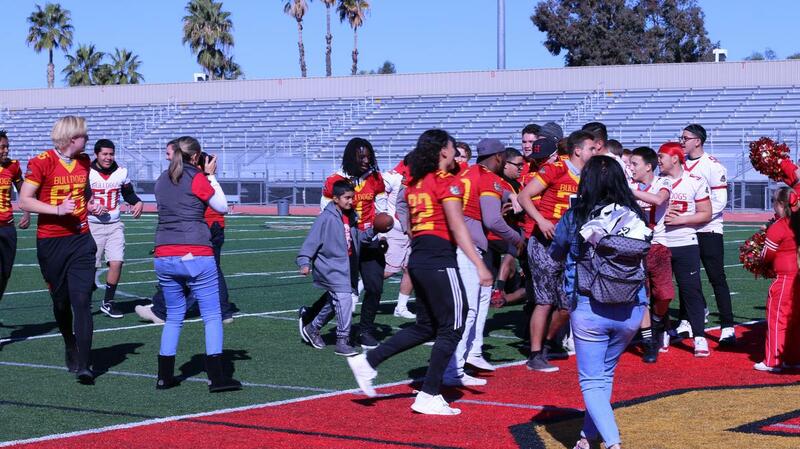 The football players were extremely polite and compassionate in working with our SH kids. Everyone on my SKB Team did an amazing job: Photographers- Emily Hulstrom, Debbi Kraemer, John Graham, Tom Kluzak and his wife Kathy, and Announcer: Tom Windmiller. 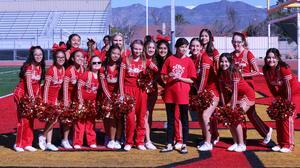 Tom Kluzak and Idyllwild Rotary will provide each participant with an 8x10 photo of their cheerleader group picture." 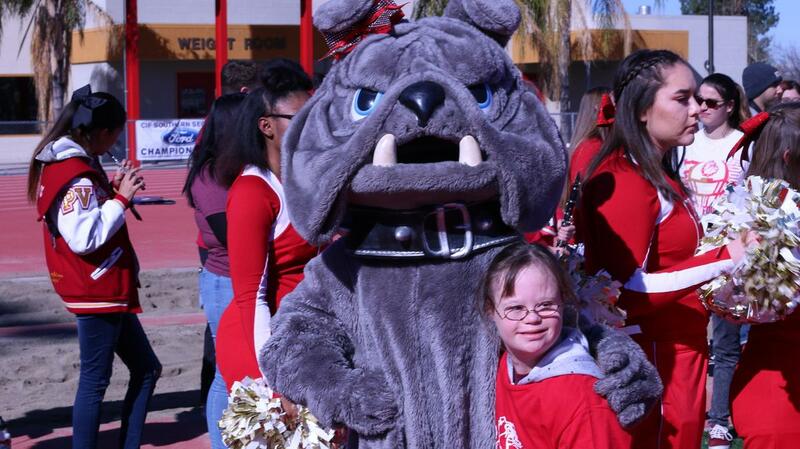 Thank you, Principal Matt Kraemer and the amazing Hemet High Principal, staff, and students!